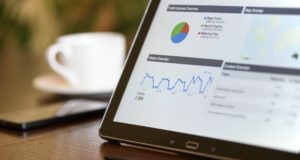 Colorado-based award-winning borrower-facing mortgage default servicing system provider ShortSave, Inc. has announced upgrades to improve analytics and compliance tracking for servicers and enhance the experience for borrowers. Among the upgrades made by ShortSave to improve the experience for servicers is a suite of dashboard tools enabling servicers to conduct analyses on loans in the default servicing pipeline. The tools include status reports based on application status and time-stamped borrower activity in the system. This particular upgrade is critical as far as providing transparence to borrowers and ensuring that ShortSave is in compliance with the Consumer Financial Protection Bureau's new servicing rules that went into effect in January 2014. 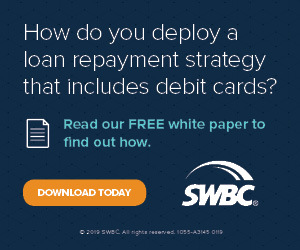 "In regards to default servicing, the CFPB is primarily concerned with ensuring borrowers have a transparent, consistent and non-discriminatory experience and are ultimately provided with a decision on their loan workout request in a timely manner," said Karl Falk, CEO of ShortSave. "By capturing data at the point of entry, ShortSave enables servicers to provide distressed borrowers with a more desirable experience and a decision significantly faster than is possible through traditional loss mitigation process available today." To enhance the ShortSave borrower experience, the company has added auto fill capabilities for the Request For Modification and Affidavit (RMA) and any lender-specific documentation. The enhancements allow borrowers to use their touch-enabled device to provide supporting documentation and sign the RMA. Borrowers can also receive updates and communicate required actions via text and email. "Engagement and success rates with defaulted borrowers are abysmal because defaulted borrowers don’t want traditional customer service," Falk said. "Furthermore, the process and paperwork is complicated and confusing. Borrowers just want an answer, and they don’t want to talk with anyone to do it. By removing the human element from the customer service process, pick-up and pull-through rates increase dramatically." Tagged with: Colorado Mortgage Solutions Providers ShortSave Inc.